The Complete Anatomy Of Humanoid Robot Design ! Robots are usually designed from models of animals and insects. While the prototypical (and most famous) robots are based on the human form, most robots are based on other living organisms. 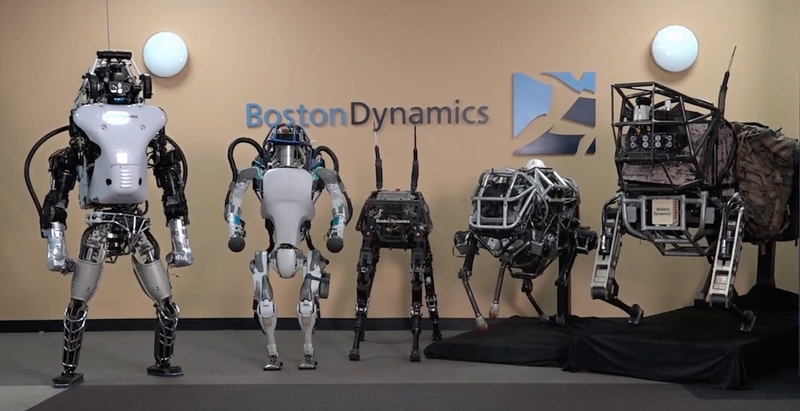 The state of the art is a long way from being able to reproduce the exact capabilities of an human, some companies like Boston Dynamics have successfully made humanoids like “Atlas”. Let us go through a brief history of the field of robotics. A robot may not harm a human or, through inaction, allow a human to come to harm. A robot must obey the orders given by human beings, except when such orders conflict with the First Law. 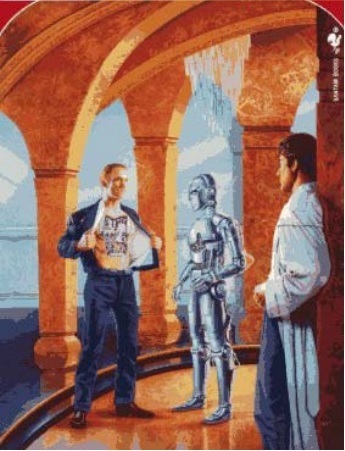 A robot must protect its own existence as long as it does not conflict with the First or Second Laws. Joseph Engleberger and George Devoe were the fathers of industrial robots. 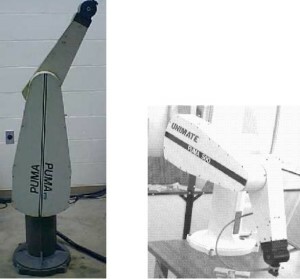 Their company, Unimation, built the first industrial robot, the PUMA (Programmable Universal Manipulator Arm) in 1961, inspired by the human arm. Robot – An electromechanical device with multiple degrees-of-freedom (dof) that is programmable to accomplish a variety of tasks. 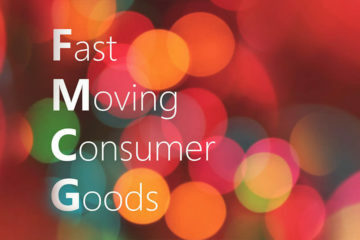 Degree of freedom – The number of independent motions a device can make. Also called as mobility. Manipulator – Electromechanical device capable of interacting with its environment. Anthropomorphic – Designed or appearing like human beings. End Effector – The tool, gripper, or other device mounted at the end of a manipulator, for accomplishing useful tasks. Workspace – The volume in space that a robot’s end-effector can reach, both in position and orientation. 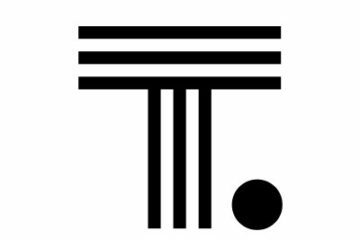 Position –The translational (straight-line) location of an object. 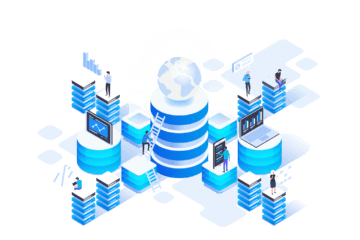 Orientation – The rotational (angular) location of an object. An airplane’s orientation is measured by roll, pitch, and yaw angles. Pose – Position and orientation taken together. Link – A rigid piece of material connecting joints in a robot. Joint – The device which allows relative motion between two links in a robot. Actuator – Provides force/torque for robot motion. 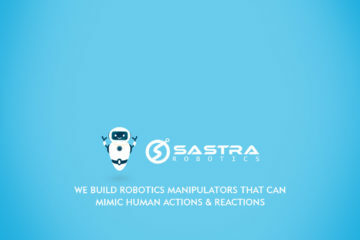 Sensor – Reads actual variables in robot motion for use in control. Haptics – From the Greek, meaning to touch. Haptic interfaces give human operators the sense of touch and forces from the computer, either in virtual or real, remote environments. 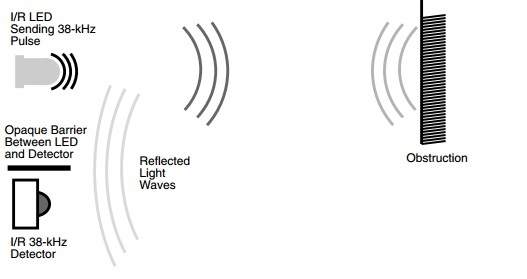 Also called force reflection in telerobotics. Traditionally, robots are applied anywhere one of the 3Ds exist: in any job which is too Dirty, Dangerous, and/or Dull for a human to perform. Industry Industrial robots are used in manufacturing: pick & place, assembly, welding, spray painting, deburring, machining, etc. Remote operations for robotics include undersea, nuclear environment, bomb disposal, law enforcement, and outer space. Service Service robots have been implemented as hospital helpmates, handicapped assistance, retail, household servants, vacuum cleaners, and lawnmowers. Cartesian Robot – Cartesian robots have three linear axes of movement (X, Y, Z). They are constructed of three mutually-orthogonal P joints, with variable lengths L1, L2, L3. Used for pick and place tasks and to move heavy loads. Also called Gantry Robots, they can trace rectangular volumes in 3D space. Cylindrical Robot – Cylindrical robot positions are controlled by a variable height L1, an angle q2, and a variable radius L3 (P joint, R joint, P joint). These robots are commonly used in assembly tasks and can trace concentric cylinders in 3D space. Spherical Robot – Spherical robots have two orthogonal rotational R axes, with variables q1 and q2, and one P joint, variable radius L3. The robots’ end-effectors can trace concentric spheres in 3D space. SCARA (Selective Compliance Articulated Robot Arm) Robot – SCARA robots have two R joints q1 and q2, plus a P joint d3 perpendicular to that plane of motion, to achieve a 3D xyz workspace. 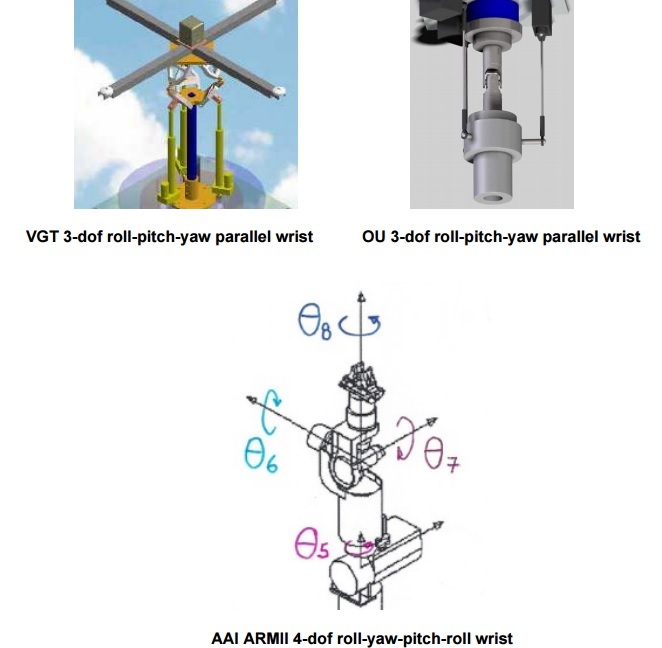 R joint angle q4 is the single-rotation SCARA robot wrist. These are common table-top assembly robots. Articulated Robot – Articulated robots resemble the human arm in their 3D motion (they are anthropomorphic). They have three R joints, with three variable angles q1, q2, and q3, representing the human body waist, 1- dof shoulder, and elbow joints. They are versatile robots, but have more difficult kinematics and dynamics control equations than other serial robots. 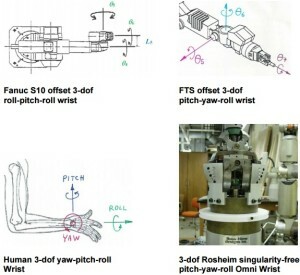 All of these robot architectures may be used with a variety of robot wrists to provide the orientation dof. A wrist pitch, with variable angle q4, is also shown with the articulated robot below. 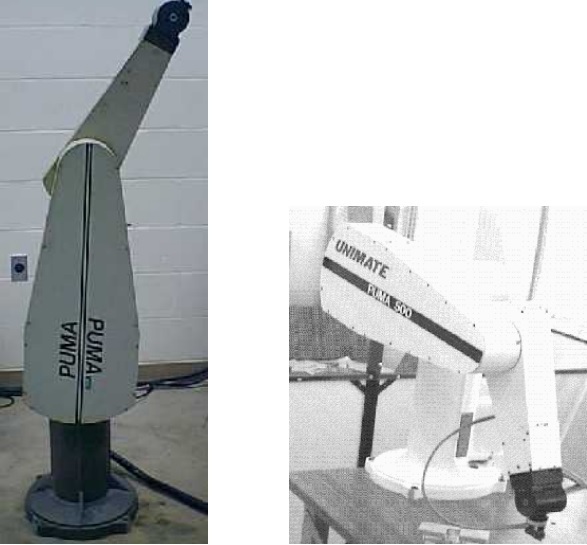 The standard robot designs presented in the previous subsection focus on the primary xyz translational motion for manipulators. 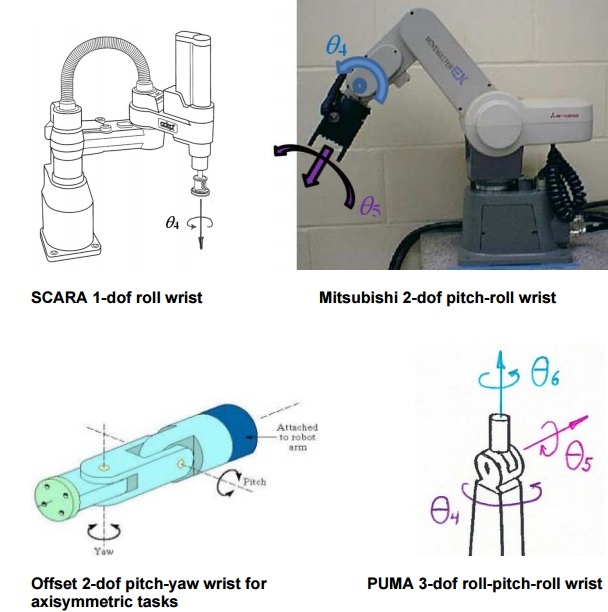 Exception: the entire SCARA robot is shown, including its single wrist roll joint q4. 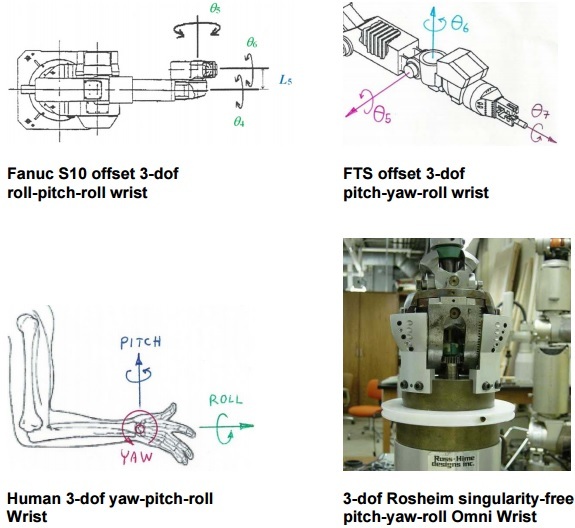 The current subsection presents some common robot wrist designs to provide primary rotational motion of the robot end-effector.These are mounted on the end of the 3-dof translational robot arms to form serial robots with translational and rotational capability. The 3 translational joints also cause rotations and also the 3 wrist joints can cause translations of the tool. If the robot wrist design is spherical, i.e. with three joint axes intersecting in a single point, the translational and rotational motion of the robot may be decoupled for simpler kinematics equations and control. The Rosheim Omni Wrist has a singularity-free 3-dof pitch-yaw-roll design. In this case the rotations all occur independently, i.e. the pitch-yaw-roll order is arbitrary. There are singularities with this wrist design, but they are designed to lie in the forearm, outside of the joint limits. The Omni Wrist has a large rotational workspace, with both pitch and yaw axes rotating ±90 degrees independently, and the roll axis with a huge ±360 degrees capability. The Omni Wrist can also be equipped with an additional, unlimited bidirectional roll motion for actuating rotating tools, within the existing wrist. Watch a video describing what are the bones, muscles etc of a robot are constructed of here. The robot drive system and power source determine characteristics such as speed, load-bearing capacity, accuracy and repeatability. Electric motors (DC servomotors) – A robot with an electrical drive uses electric motors to position the robot. These robots can be accurate, but are limited in their load-bearing capacity. Hydraulic cylinders (fluid pressure) – A robot with a hydraulic drive system is designed to carry very heavy objects, but may not be very accurate. Pneumatic cylinders (air pressure) – A pneumatically-driven robot is similar to one with a hydraulic drive system; it can carry less weight, but is more compliant (less rigid to disturbing forces). 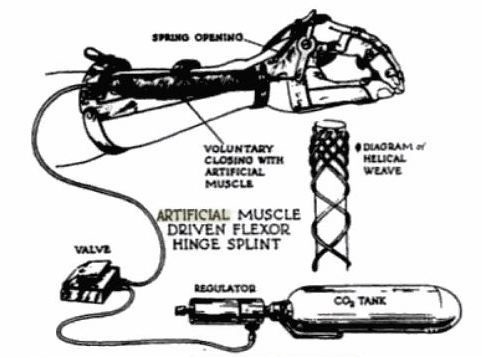 McKibben Artificial Muscles (air pressure) – The McKibben artificial muscle was invented in the 1950’s, but was too complicated to control until the 1990’s (computers and nonlinear controls technology have greatly improved). Like the human muscle, these artificial muscles can only contract, and cannot push. 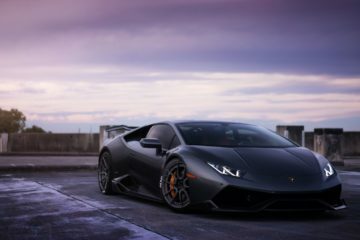 They have natural compliance and a very high payload-to-weight ratio. Piezoelectric materials – A piezoelectric material can be used as an actuator since it deflects when a voltage is applied. These are not very useful in robotics since the motion and forces are so small. Conversely, a piezoelectric material may be used as a sensor, reading the resulting voltage when the material is deflected by outside forces. End-effectors are the tools attached to the end of the robot arm that enable it to do useful work. Most robot manufacturers either do not include end-effectors with their robots or include a general purpose gripper to allow you to do simple tasks. Typically, the end-effectors must be purchased or designed separately. 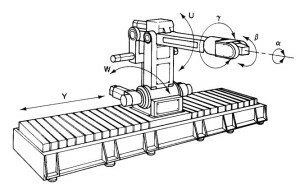 Also called end-of-arm-tooling, end-effectors are usually attached to the robot tool plate (after the last wrist joint) via a standard mechanical interface. Like robots themselves, end effectors require a power source, often electric or pneumatic. 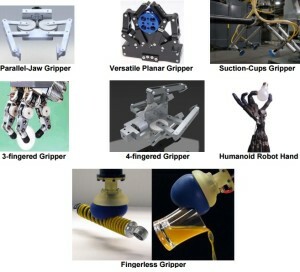 Grippers – Grippers are the most common end-effectors. They provide the equivalent of a thumb and an opposing finger, allowing the robot to grasp small parts and manipulate them. Machine Tools – Robot end effectors can also be machine tools such as drills, grinding wheels, cutting wheels and sanders. Measuring Instruments – Measuring instruments are end-effectors that allow the robot to precisely measure parts by running the arm lightly over the part using a measuring probe or gauge. Laser and Water Jet Cutters – Laser and water jet cutters are robot end-effectors that use high-intensity laser beams or high pressure abrasive water jets to cut sheet metal or fiberglass parts to shape. Welding Torches – Welding torches are robot end-effectors that enable robots to weld parts together. These end effectors are widely used in the automotive industry. Spray Painting Tools – Automatic spray painting is a useful application for robots, in the automotive and other industries. Glue Application Tools – Automatic spot or trajectory gluing is a useful application for robots, in the automotive and other industries. Tool Changers – Some robot systems are equipped with automatic tool changers to extend the usefulness of the robot to more tasks. All robot control methods involve a computer, robot, and sensors. 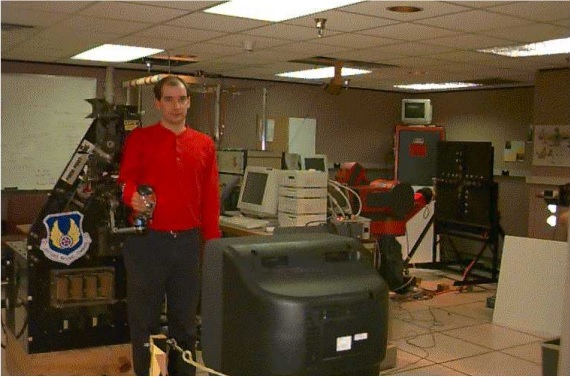 Lead Through Programming – The human operator physically grabs the end effector and shows the robot exactly what motions to make for a task, while the computer memorizes the motions (memorizing the joint positions, lengths and/or angles, to be played back during task execution). 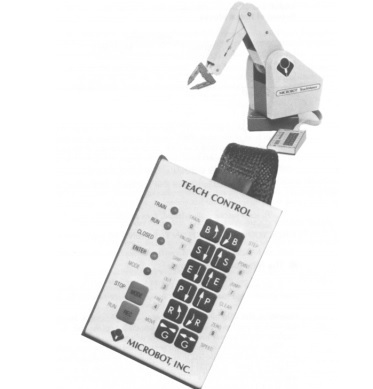 Teach Programming – Move robot to required task positions via teach pendant; computer memorizes these configurations and plays them back in robot motion sequence. The teach pendant is a controller box that allows the human operator to position the robot by manipulating the buttons on the box. This type of control is adequate for simple, non-intelligent tasks. Off-Line Programming – Off line programming is the use of computer software with realistic graphics to plan and program motions without the use of robot hardware (such as IGRIP). Autonomous – Autonomous robots are controlled by computer, with sensor feedback, without human intervention. Computer control is required for intelligent robot control. In this type of control, the computer may send the robot pre-programmed positions and even manipulate the speed and direction of the robot as it moves, based on sensor feedback. The computer can also communicate with other devices to help guide the robot through its tasks. Teleoperation – Teleoperation is human-directed motion, via a joystick. Special joysticks that allow the human operator to feel what the robot feels are called haptic interfaces. Telerobotic – Telerobotic control is a combination of autonomous and teleoperation control of robot systems. Robots under computer control interact with a variety of sensors, which are small electronic or electro-mechanical components that allow the robot to react to its environment. 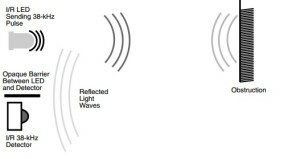 Some common sensors are described below. Vision – A vision system has a computer-controlled camera that allows the robot to see its environment and adjust its motion accordingly. Used commonly in electronics assembly to place expensive circuit chips accurately through holes in the circuit boards. Note that the camera is actually under computer control and the computer sends the signals to the robot based upon what it sees. Voice – Voice systems allow the control of the robots using voice commands. This is useful in training robots when the trainer has to manipulate other objects. Tactile – Tactile sensors provide the robot with the ability to touch and feel. These sensors are used for measuring applications and interacting gently with the environment. Force/Pressure Force/Pressure – Sensors provide the robot with a sense of the force being applied on the arm and the direction of the force. These sensors are used to help the robot auto-correct for misalignments, or to sense the distribution of loads on irregular geometry. Can also measure torques, or moments, which are forces acting through a distance. Can be used in conjunction with haptic interfaces to allow the human operator to feel what the robot is exerting on the environment during teleoperation tasks. Proximity – Proximity sensors allow the robots to detect the presence of objects that are very close to the arm before the arm actually contacts the objects. These sensors are used to provide the robot with a method of collision avoidance. Limit Switches – Limit switches may be installed at end-of-motion areas in the workspace to automatically stop the robot or reverse its direction when a move out-of-bounds is attempted; again, used to avoid collisions. Potentiometer measures angle or length. 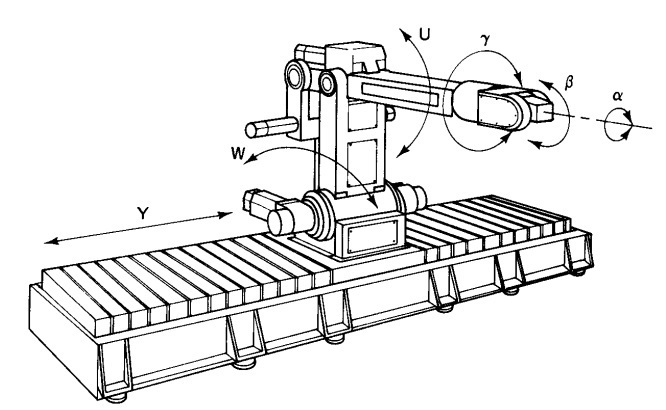 LVDT measures length (linear variable displacement transducer). Previous ArticleHow The Name Rajini Kanth Has Transformed Into A Brand ! 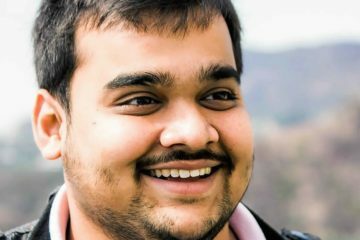 Next Article6 Surprising Growth Hacking Strategies For Your Startup’s Success !